This never-before translated work by a major yet overlooked mid-20th century writer is a brutally funny look at the human comedy on the eve of Europe’s descent into Fascism. It tells the tale of a failed used car salesman who wants to live the high life, and so decides to travel by train from Munich to Barcelona to attend the World’s Fair—in hopes of meeting a beautiful, rich woman who will provide for his every whim. It’s a highly stylized and, at times, raucously funny tale of the almost-absurd: a dark and satiric look at Europeans, and especially Germans, on the brink of cataclysm. 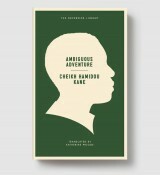 Adrift in their acquisitive desires, they are vulnerable to the propaganda of the State—making this novel brilliantly foresightful in its understanding of politics and human nature at a crucial point in modern history. Ödön von Horváth’s scathing insight, in fact, led to his having to flee the very society he depicted when, living in Berlin, he drew the wrath of the Nazis. 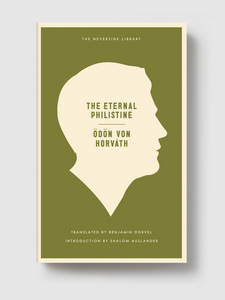 And yet this hilarious tour-de-force—written just after his escape, and just before his death in a tragic accident—eschews bitterness for rambunctious perseverance and compassion, and provides ample evidence of why von Horváth deserves renewed appreciation. ÖDÖN VON HORVÁTH (1901–1939) was born near Trieste, the son of a Hungarian diplomat who moved the family constantly. Horváth would subsequently say of himself, “I am a mélange of Old Austria; Hungarian, Croat, Czech, German; alas, nothing Semitic.” Although his first language was Hungarian, he went to high school in Vienna and college in Munich, and began writing plays in German. 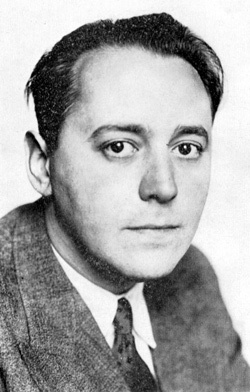 Leaving school, he settled in Berlin, where in 1931 his play Italian Night debuted to rave reviews—except from the Nazi press, which reviled him. His next play, Tales from the Vienna Woods, starring Peter Lorre, drew an even stronger, equally divided re-sponse. When the Nazis came to power in 1933 he relocated to Vienna, but on the day of the Anschluss—March 13, 1938—he fled to Budapest. From there, he soon moved to Paris, but on June 1, 1938, he was killed in a freak accident when, caught in a rainstorm coming out of a theater on the Champs-Élysées, he took shelter under a tree that was hit by lightning; von Horváth was struck by a falling tree limb and killed instantly. He was 36 years old and had published 21 plays and three novels—The Age of the Fish, A Child of Our Time, and The Eternal Philistine.